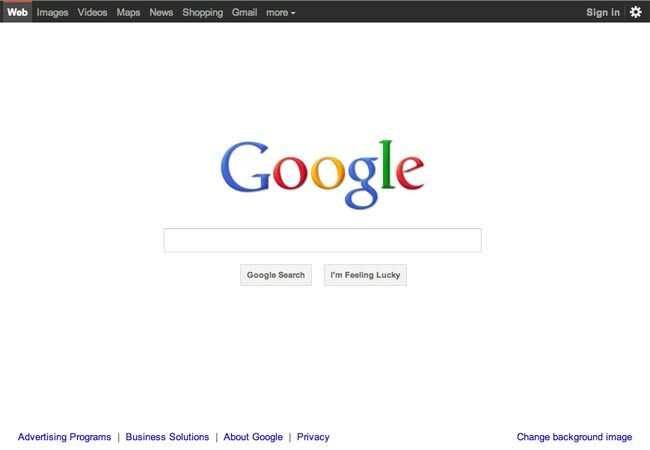 Google has launched a new design of its homepage, if you go to Google.com you will now see a black bar at the top of the homepage, which features a variety of different links to a range of Google services. Other changes to the Google homepage include a smaller logo, and some of the links have now been moved to the bottom of the page, and it looks like Google has a few more changes planned for Google.com over the coming months. Starting today, you might begin noticing that things look a little different across Google products. We’re working on a project to bring you a new and improved Google experience, and over the next few months, you’ll continue to see more updates to our look and feel. Even our classic homepage is getting a bit of a makeover. Google’s homepage certainly does look a lot different than the original one which was launched back in 1997, you can see the original one over at the Google Blog.